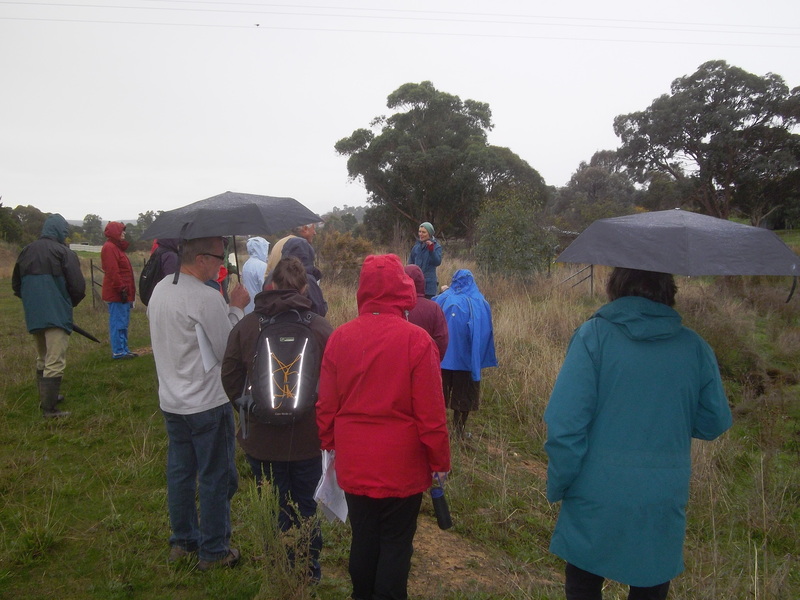 On Friday the 19th of May 2017 Barb Guerin, Cassia Read and Deirdre Slattery from the Victoria Gully Group led sixteen attendees through their approach in seeing possibilities and setting priorities for the ecological restoration of the gully. This session was designed to help people to make decisions about land use and habitat creation in low-lying areas and had an emphasis on restoration in public land. Attendees heard firsthand about how volunteers in environmental groups can make difference to habitat values on public land. 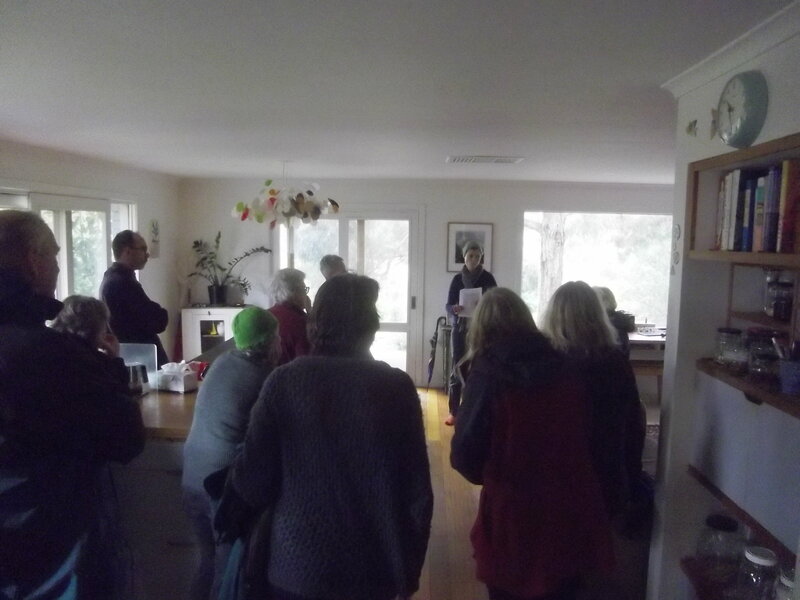 Barb Guerin was first of the three very capable presenters to speak to the group as she outlined the history of the group, their works done to date and how to negotiate the necessary planning and permissions for state and local government. Barb explains the history of the Victoria gully group to participants. 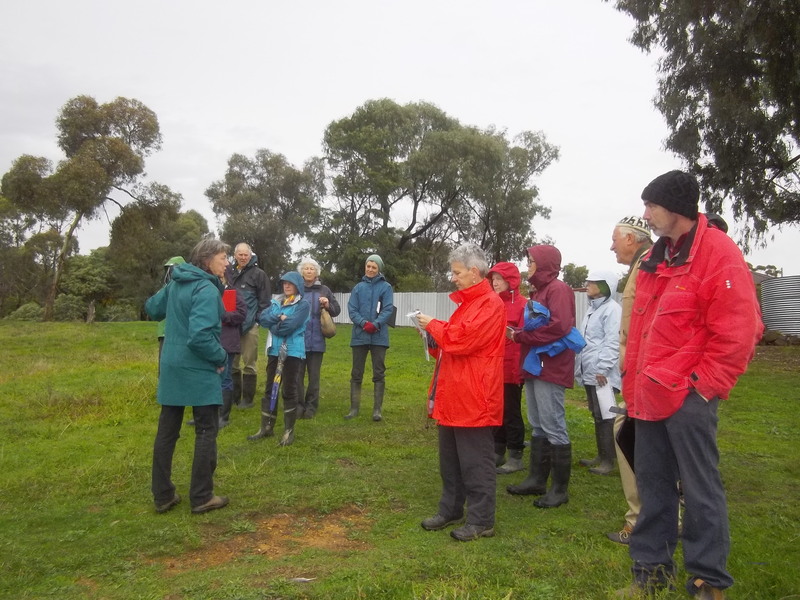 Cassia led a walk and talk around the site with stops at various locations in the gully where she highlighted the influencing factors on land management and the group’s plans. These included water inflows, local frog populations, current and potentialities for public use of the area, and where works such as weed removal and planting into exclusion plots had already occurred. Cassia talks to the group about a possible spot for a picnic table. After a fortifying cuppa and warm up inside, participants headed back into the gully where under Deirdre’s direction they split into small groups and spent time together discussing potential courses of action for the group and priorities in setting these goals given what they knew about the nature of the site and capacities of the group. A Spreading Wattle (Acacia genitsifolia) in full bloom. 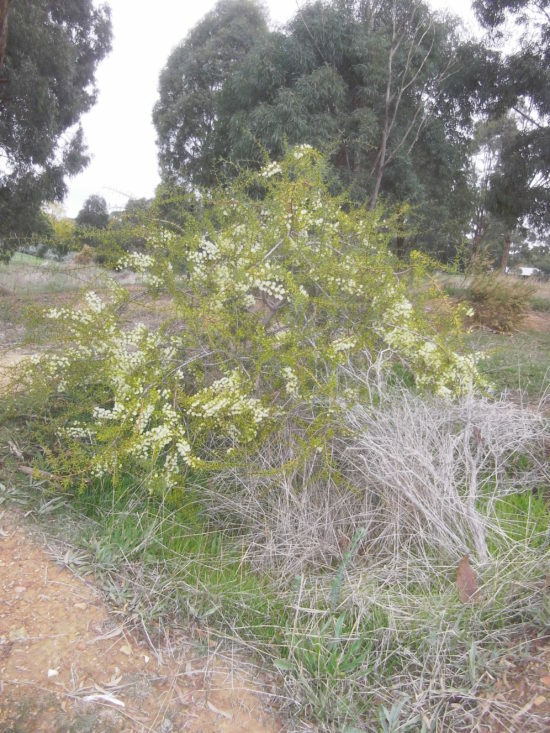 This plant has avoided kangaroo damage through being planted into a depression and being very prickly. We headed inside to hear the small groups report back from their discussions. Cassia showed a short video taken earlier this year which documented the results of a 20 minute deluge. This delightful footage showed Cassia’s daughter’s joy and excitement as a head water moving over their neighbour’s lawn and into the creek line in the gully and illustrated one of the considerations for the group in moving forward in their plans. Cassia shares her plans for increasing habitat and amenity in Victoria Gully. Cassia unveiled her ideas and plans and possible priorities for the gully. With expert advice from Damien Cook and Karl Just, Cassia has devised a course of actions which would see the group build a barrier to divert storm water, planing along an already apparent chain of ponds, creation of a frogbog, the creation of a picnic area, and the ongoing control of weeds. The workshop concluded with an impromptu and very welcome Q&A from Warwick Smith who, having been a herpetologist, answered questions about frog life cycle and biology. His contribution was also much appreciated by the attendees and Connecting Country. Cassia’s plans for potential works on Victoria Gully can be viewed under the Projects section of her website when you click here. Barb’s one pager on steps and organisations to consider when doing works on public land click here. For more information on local frogs and their life cycle click here.